The electric bike transforms the way we move. Whether commuting to work or going on an afternoon ride, the electric bike is the most economically and environmentally pragmatic way to get you where you want to be. Electric bikes are designed to suit different people, for different reasons. 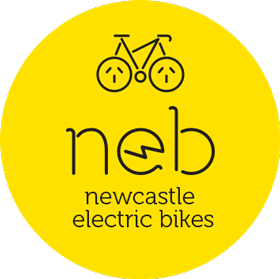 Newcastle Electric Bikes has a state-of-the-art range, including traditional bikes and fold-ups, ready to go – purchase or hire. Taking the bike for a test ride is one of the most important – and fun- parts of buying your electric bike. Put it to the test and drop by for some expert friendly, local advice before you choose your bike. Sick of city parking and peak hour traffic? Want to feel the wind in your hair and sunshine on your face? Our bikes can take you up to 45km without even peddling! Consider making the switch to an environmentally friendly electric bike today. Electric bicycles conquer hills and headwinds with ease. Perfect for leisurely weekend rides, exploring the long coastal stretches of Newcastle the local way. Start exploring today! New to Newcastle? Visiting for the weekend? Hire a bike with a helmet and lock. We offer information on routes, and some insider knowledge. Check out the routes, and enquire now discuss hire.